David has over 25 years Australian and Asian experience in the operation, assessment and improvement of Governance structures and processes, particularly in reference to IT Service Management, Risk, Security and Technology. He has worked in diverse roles such as IT Manager, National IT Infrastructure Manager and Senior Consultant in various IT and training environments. His background and experience combine a solid technical and training basis with a thorough understanding of key organisational factors such as leadership, management, financial impact and people issues. David uses his extensive background in management to guide and direct organisations in their endeavours to implement governance structures using Standards and Frameworks such as ISO 38500, ISO 27001, ISO 3100, ITIL® V3, COBIT® 4.1, BEF, PRINCE2® and others. He has a strong focus on strategy and processes and uses his management skills and extended knowledge to successfully develop and improve existing processes. David has been involved with all major sections of the business community, having provided services for Telstra, Commonwealth Bank, Sandvik, Qantas, OCBC, Federal Courts and the Australian Electoral Commission to name but a few. 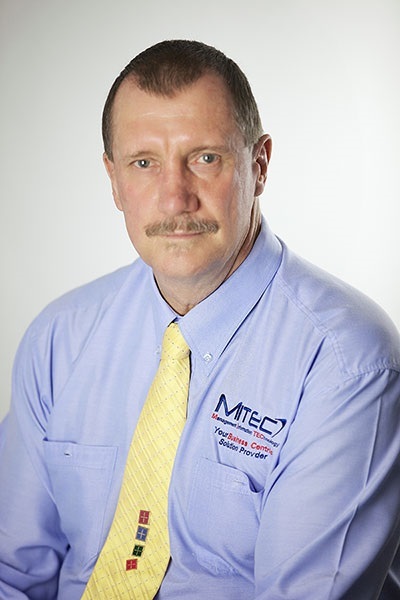 He has managed implementations and training for corporate and SME customers in Australia and SE Asia, assisting organisations to implement industry standard governance structures and processes to enable business benefit and profitability. David brings International experience to his consulting capability if required by his clientele. However, he has considerable experience working with small to medium enterprises, and can appreciate the needs and constraints of the smaller business. David has started his own company and can therefore assist in the issues that are relevant in developing and improving business requirements in today’s rapidly changing environment. In addition to his extensive experience, David brings to bear an impressive list of certifications including; MCSE, ITIL Masters V2, ITIL Expert, all four ITIL V3 Capability Certifications, PRINCE2, IT Infrastructure Management, Bachelor of Education, Cert. IV in Training and Development, Certified Information Security Manager and Lead Auditor Status. David takes a no-nonsense approach to assisting organisations to develop their Service Management framework, using a proven structured methodology to align IT services with business strategy and required outcomes. He has an impressive list of testimonials to attest to his skills and capabilities. ITIL®/PRINCE2®/PRINCE2 Agile®/MSP®/M_o_R®/P3O®/MoP®/MoV® are a registered trade mark of AXELOS Limited, used under permission of AXELOS Limited. All rights reserved. The Swirl logo™ is a trade mark of AXELOS Limited, used under permission of AXELOS Limited. All rights reserved. COBIT®, CISM, CISA and CRISC® are registered trademarks of ISACA. The COBIT® 5 logo is a trademark of Information Systems Audit and Control Association® (ISACA®). AgilePM® is a registered trademark of APMG. AgileBA® is a registered trademark of Dynamic Systems Development Method Ltd and The APMG-International Swirl AgileBA Device is a trade mark of APM Group Ltd. TOGAF® is a registered trademark of The Open Group. CISSP® is a registered trademark of (ISC)2, Inc.